Review of Armenian Studies is indexed by EBSCO and TÜBİTAK/ULAKBİM. Articles submitted for publication are subject to peer review. The journal’s language is English. 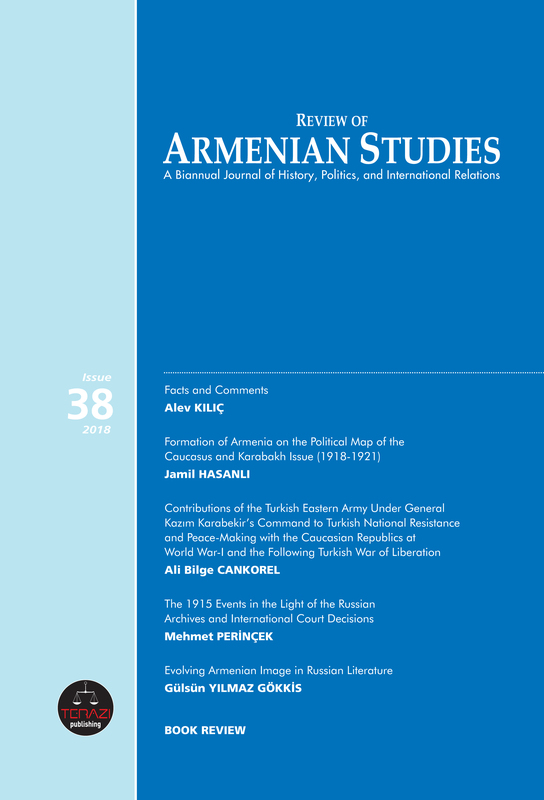 Review of Armenian Studies accepts academic research that has not been previously submitted to another journal for publication. Submissions must be written in accordance with the standards put forward by the journal, and with a clear and concise language. The journal uses the latest edition of Chicago Manual of Style (full note) as its citation style. Please refer to Chicago Manual of Style official website for further details regarding proper citation methods (www.chicagomanualofstyle.org). Review of Armenian Studies recommends the use of automated citation platforms such as “Zotero” or “Citation Machine” to make citation faster and easier for the authors. 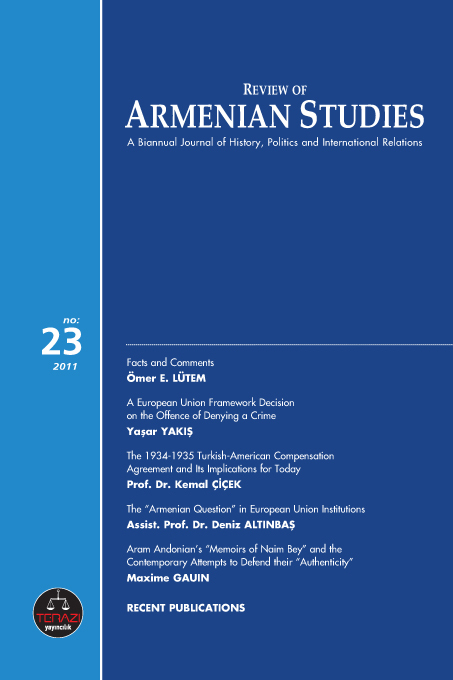 Please submit manuscripts via e-mail to Managing Editor Mehmet Oğuzhan Tulun via motulun@avim.org.tr. 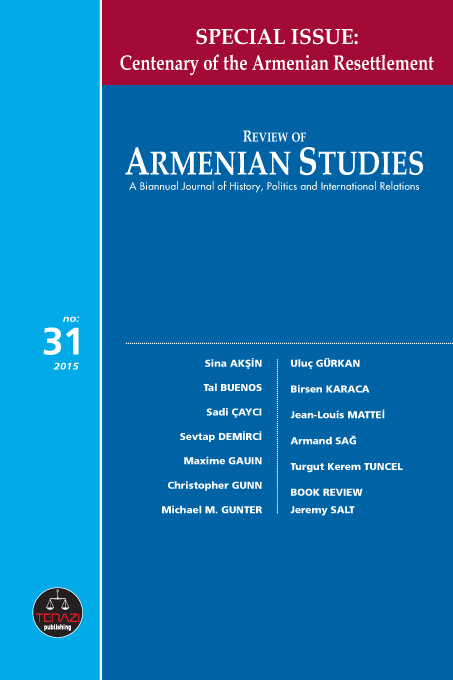 Review of Armenian Studies welcomes the submission of manuscripts as articles and book reviews. Articles should range from 6,000 to 18,000 words and should be approximately 10-30 single-spaced pages in length (including footnotes and bibliography). Articles must be word processed using Microsoft Word, 12 point font, Times New Roman, and should be single-spaced throughout allowing good (1-1/2 inch) margins. Pages should be numbered sequentially. There should be a clear hierarchy of headings and subheadings. Quotations with more than 40 words should be indented from the left margin. - Abstract: please provide a short summary of up to 300 words. Book reviews should range from 1,200 to 2,400 words and should be approximately 2-4 single-spaced pages in length (including footnotes), and should be on recently published books on related subjects. Book reviews must be word processed using Microsoft Word, 12 point font, Times New Roman, and should be single-spaced throughout allowing good (1-1/2 inch) margins. Pages should be numbered sequentially. Page numbers regarding the book under review should be given in parentheses within the text, other citations should be given in the footnote section. The editorial office will make every effort to deal with submissions to the journal as quickly as possible. All papers will be acknowledged on receipt by email. Terazi Yayıncılık Bas. Dağ. Dan. Eğt. Org. Mat. Kırt. Ltd. Şti.